Never Gonna Give You Up is actually a pretty decent song. I gotta make you guys understand, though. Looks like Flowey got to her. How About Kill It With Fire? Aedan The Borf, GawenStarTeller, Super Shides and 2 others like this. Dumb Guess: The Underground Barrier is the Light Fountain and Asriel breaking the Barrier destroys the balance of Light and Dark once again. Super Shides, Huzbubber Tim, FlyKip and 1 other person like this. 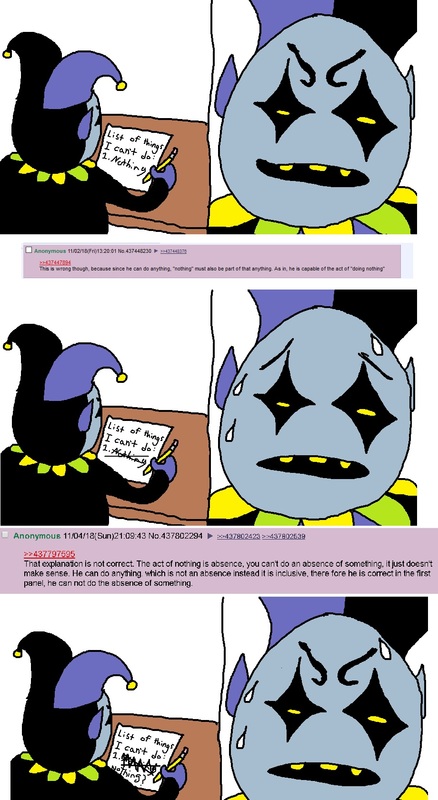 The only thing Jevil can't do is nothing? He actually can do nothing, seeing as he can dissapear from existence and come back at will. If you can refuse to exist, you can indeed do nothing. Huzbubber Tim, neoselket, Aedan The Borf and 2 others like this. I don't know what integrity is. Huzbubber Tim, Parasy and SkeletalDestroyr like this. Parasy, Aedan The Borf and Huzbubber Tim like this. Asgore is credit to team. "WHAT SICK MAN SENDS CHILDREN TO FIGHT ME ? " 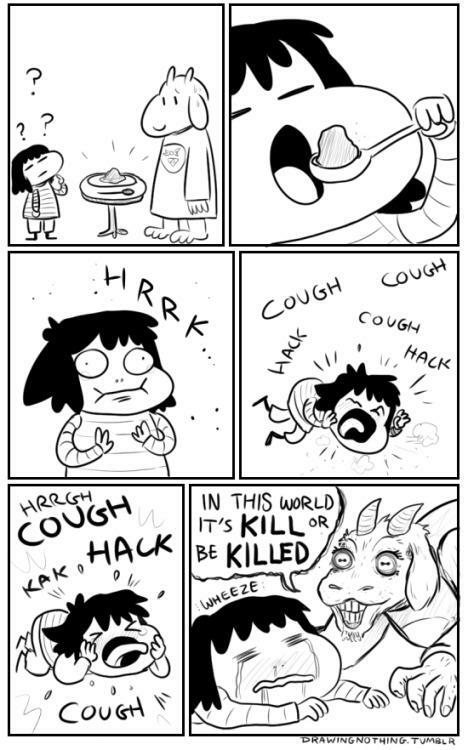 Toriel Dreemurr. What, Tori is a man!? Aedan The Borf, Huzbubber Tim, SkeletalDestroyr and 3 others like this. That's only a month early, or 11 months late. I managed to get half of my class to sub to PewDiePie, go Team PewDiePie! Found a four-leaf clover and apparently the wind made one fell and I'm stuck with a normal one now. Aedan The Borf and LumiNyte like this. Attention all Earthlings, the Earth needs your help! To help, simply stop throwing trash everywhere. Bubby Aurora, TheWorfer27, Animus Viral and 2 others like this. Huzbubber Tim and Viashino like this. I've known that for a long time, thank you. I shocked myself without actually realizing it. I played Megalovania with my headphones on and I forgot I set it at max volume. Alas, it hasth been resolveth. Thanks for the report Yello. Friendly neighbourhood spooder man news reporter, although you did most of it! •If Facebook, Instagram, and Twitter were all destroyed, 90% of teens would go insane. If you're one of the 10% that would be laughing at them, copy this into your signature and hope it happens. •99% of teens would cry if they saw Justin Bieber on a building about to jump. If you're part of the one percent with 3D glasses and box of popcorn and a soda yelling "DO A BACK FLIP! ", copy this into your signature and hope that it happens! •Disorder came from order, fear came from courage, weakness came from strength, Know thy self, know thy enemy. A thousand battles, a thousand victories… Wheels of justice grind slow but grind fine. Only select 1 choice in every one-choice decision so it would be fun to play! You can choose all choices in a multi-choice decision! There are chances of death in one-choice decisions, choose wisely. May contain stuff inappropriate for audiences below age 13. May contain acts of theft and death. This is meant to not be taken seriously and is just for fun. This is just a short adventure since most of my ideas don't make sense, and if they do I have a hard time continuing the story. DAY OVER: It's just a signal to mean you passed a day without dying. You wake up in a mysterious island with no memories, you forgot your name, address, phone number and pretty much all your personal details. You are a hot gurl that might have got stranded after a sea cruise with your boyfriend. You look around and there are some points of interest. You try to scream for help, but you only successfully got blood inside your lungs so you drown in your own blood. Horrible. GAME OVER. Your body is found 3 days later. You crawl into the forest. Pain overwhelms you but you resist, what a strong woman you are! You eventually reach the hut. It's inhabitants notice you and brings you inside. They nurse you back to normal and you rest in your own room! DAY OVER. You wake up in your room. You see a tray with a plate of bacon and eggs and a glass of milk. You decide to consume them. You take a quick shower and decide to go looking around. You go near the shipwreck but your instincts tell you not to, since it's still ablaze and you remember seeing oil leak out. You turn back and go somewhere else. You sneak your way into the village. The (Crazy) villagers don't notice you and you stumble upon a treasury. Neat-o! What do your female desires want? You take some jewelery and jet. You sneak into a war preperation room and take a sword, a bow and some arrows (Also with a quiver). You sneakily exit the village. You go back to the hut, enter your room and store everything you got there. You feel exhausted and decide to take a rest. You wake up for dinner and sleep again. DAY OVER. You wake up and see a tray with a plate of spaghetti and a bowl of cereal. You decide to not touch the spaghetti and eat the cereal. You take a quick shower and decide to go outside for some adventuring. You take your bow and quiver. There seems to be an earthquake while you're sleeping, since there is a noticable crack on the ground. It seems to be enterable like a cave so you decide to explore a little bit. The path starts to fork to two directions. You go down the smaller and cracked path, you see magma spouting from the ground on the other path and you thank God for giving you another chance to live. You keep walking down until you see something... You can't make it out but it seems to be a memory of the past. Oh! Your memories are flooding back, you are overwhelmed with emotions and finally realize what it is, your basement! You recognize your own name, Jade! You suddenly wake up in a hospital room. You see your whole family and your boyfriend around you, and you're lying on a bed. Seems like you were in a coma after a car accident and all that nonsense was just your imagination acting up. "Jade! You're okay after all!" your boyfriend hugs you and kisses you on the cheek. You see your parents crying with joy. "Ouch, Jack, I'm still a little hurt, y'know?" you say that out of reaction, "Ah, sorry. I was too excited, hehe" he says back. And thus, you and Jack get married and have a family of your own. One day, someone knocks on your house door. You go down and open it, you're shocked as you see the hut's owner from the island you seem to be stranded at before. "Here, take this" they give you your sword you left behind at your room and when you take your sword, they disappear in a puff of smoke. Your sword seems to be real and you put it in a rack. "Hey, baby. What's that?" Jack says in amazement. "This is... a gift from a friend of mine" you say, and you see the house owner's eyes in the sword. 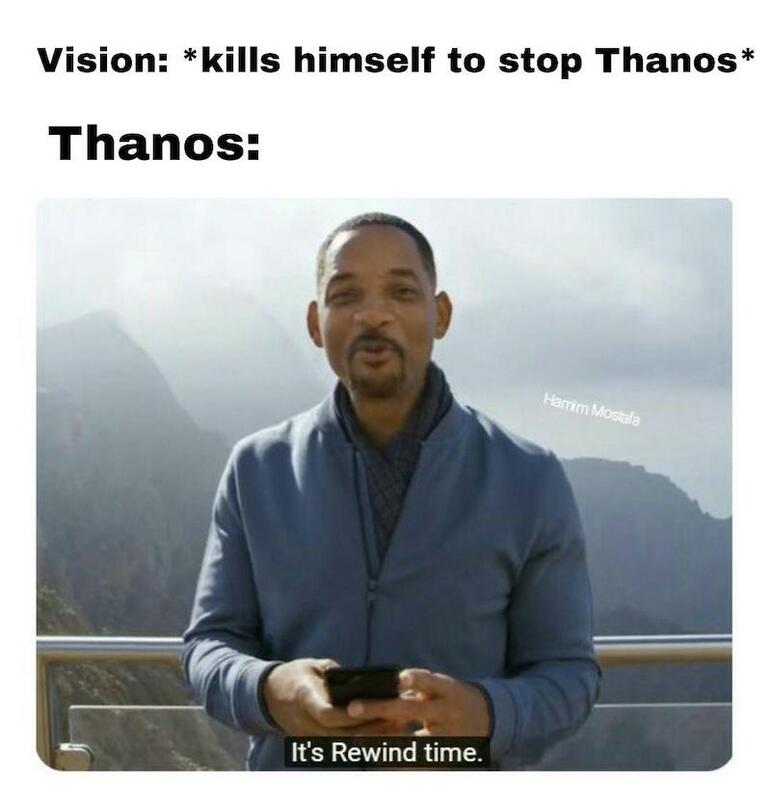 GAME END! You have seen Jade's life through her own eyes and now you have found the answer your life's purpose, 42! You go down the clearer and hotter path. You thought the air was hotter since it's deep underground, but eventually a splash of magma spouts from the ground to your exposed midriff, killing you slowly. GAME OVER. The shipwreck seems to have a lot of oil leaking out and it appears to be ablaze. You hope it doesn't explode since you're only 13 meters away. You have a curvy figure and long blonde hair that reaches your hips. You're wearing a slightly torn tank top and ripped jeans, you also have a bleeding wound on your leg from what appears to be a knife. Uhhh, help?